Wheatgrass is packed with chlorophyll, it is what blood is to humans. It harnesses the power of the sun and rebuilds health from a cellular level. Packed with essential vitamins, minerals, proteins, amino acids, wheatgrass is considered a superfood. In Ayurveda it is used to rebuild the blood tissue. In TCM (Traditional Chinese Medicine), barley grass is used for resetting hormones, hence the grasses have immense power over the skin, especially if it related to hormonal acne. Wheatgrass specifically, has the following vitamins; A, C, E, K, and the entire B-complex. The B complex helps with mental health and depression. It is also jam-packed with protein, along with 17 amino acids. And on top of all that, wheatgrass is has 70% chlorophyll. Being sprouted from wheat berries, wheatgrass is still gluten free, so there is no need to worry about that. It increases red cell blood count, cleansing the blood and organs. It helps the body naturally do what it was made to do. There are various ways to consume wheatgrass, fresh, powder capsules etc. Obviously the most potent is fresh, but if you are not a fan of the taste, the powder is suitable and convenient. The powder is obtained from extracting the dehydrated juice of wheatgrass. In the American Journal of Surgery (1940), the chlorophyll in Wheatgrass repairs damaged epidermal tissue, inhibits acne breakouts, and diminishes blemishes and scars when included as part of a balanced diet. This also refers to internal skin in the gut. Ingesting wheatgrass daily can clear up symptoms associated with eczema and psoriasis as it cleanses the body deep throughout. A refection of the external skin is actually a refection of the internal skin. It also works wonders to clean the liver and organs. Some people even add the powder to facial masks. Being an acne sufferer for years, I know the lack of self esteem that can occur from breakouts. Acne is definitely a confidence deflator. The chlorophyll in wheatgrass improves the ability of the liver to dispose of toxins properly. Since wheatgrass is 70% chlorophyll, wheatgrass is a powerful anti-inflammatory for the skin within and without the body. This means that just a few days of consuming wheatgrass will show immense improvement in skin, functioning and otherwise. Usually acne is caused by irregular shedding of dead skin cells resulting in irritation of the hair follicles of your skin, buildup of bacteria under the dermis, hormones, blood sugar levels and stress. This is why balancing hormones through eliminating high glycemic foods that cause high blood sugar levels & balance out blood sugar levels can help acne. Also regular exercise and elimination of stress through meditation can help. Try to incorporate these foods into your lifestyle with wheatgrass powder. About 90 grams on an empty stomach will dot he job. You’ll see benefits in 9 to 15 days. Don’t be scared if you suffer from headaches in the first few days, as it is working. Don’t give up. Give it a try and let me know how you go. Today I had a wonderful treatment called Kaayasekam on my full body. The therapists warm some therapeutic oil and do a rhythmic pouring of this oil all over my body. The oil was mainly ‘murivena’, a very good herb for pain management and inflammation. Also used for certain cases of arthritis etc. During the treatment I felt love, warmth and grace. It was really such a luxurious and calming feeling. Apparently this treatment enhances nerve conductivity and circulation and the strengthening of joints. Slipping and sliding on the table is part of it; the feeling during the treatment was of love being poured all over my body. What an amazing feeling of warmth and security. This treatment, feels like it would pacify my already over active vata. After the treatment, I felt tired and somewhat drained. Being pretty active usually, I have learnt to slow down and allow the therapy to work its magic on me. Even though I really wanted to do some form of light exercise today, I opted for the passive approach of resting. Lets see if this approach pays off. Hopefully it will help to alleviate some of the stomach issues that I am having. 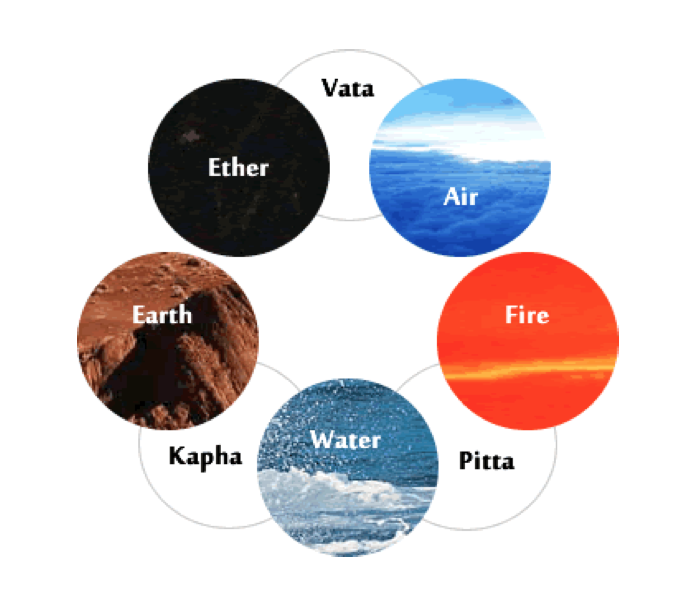 Part of rejuvenation therapy for Ayurveda, one must really figure out which dosha is accumulating, which dhatus or tissues are affected, and whether Agni is high or stagnant. This indicates health. If Agni is strong, usually disease can burn itself out or purify itself, even if dhatu Agnis are high, the metabolic waste can be purged out, BUT if it’s not, AMA, or undigested food particles accumulate in the gut, spread through the blood, and accumulate deep within the tissues. This sticky mass, can be thick and hard to eliminate. Thus Ayurveda uses thick substances, similar to that of Ama, to remove it. The next treatment that I am doing is Choorna Pinda Sweda, which is one of powdered bolice applied to skin via transmission of heat and just a tad of oil for enabling herbs to transmit to the skin. The idea of the powder is known as ‘Lekana’ which pacifies and is administered before any oil therapy. ‘Lekhana means reducing, reducing tissue mass, or reduction of toxic accumulation. I guess the best way to explain this is catabolic vs anabolic. The reason behind this is because oil or anything nourishing or building can aggravate accumulation of Ama, and m are matters worse. So we are finally here in Kerela for the India Internship from Kerela Academy. We have learnt so much about healing and that its more than just meets the eye. In fact, the methods adopted here for healing are relatively amazing compared to anything I’ve ever experienced. Today Dr. Kartick took my pulse reading and stated so much personal stuff about me such as, do you have hair loss, skin disturbances, did your father like to drink alcohol? I was blown away at these details that I immediately took an interest in his method of pulse, which is different from any of the online courses I’ve ever taken. He proceeded to put marks on my wrists to denote the area the fingers should be to check VPK. After this, he taught us how to take a pulse correctly and how to denote proper disease pathology in Ayurveda. Below are actual pictures from a disease pathology, that can honestly be so simple yet so thorough. Ok peeps, here is another vent. The whole hype about bone broth gets me (as a vegetarian turning Vegan) a little upset. I understand that the gelatin and collagen are parts of bone broth, but HELLO PEEPS, our bodies can make collagen through food. And even if we are consuming heavy meat based products loaded with collagen, we still needs to manufacture it in OUR OWN bodies. Hence diets such as GAPS, Paleo, SCD compromise the ethics of vegans and vegetarians. Thus I refuse to accept that only a meat laden diet works for vegans. There are experts out there insisting that vegans and vegetarians should be consuming bone broth, which I don’t think is very good at all. I understand that there may be a need for various ‘meat based’ products and I am not criticizing meat eaters (eat the damn meat if you want!!!) But stop forcing meat based products down our vegan and vegetarians throats. After much research on this topic, I figured out that ANIMAL PROTEIN IS NOT ESSENTIAL FOR HEALTH, there are alternatives, which in some cases may even prove to be better than the meat sources. Bone Broth has been tooted in the media for all its wonderful benefits, it is definitely a health trend at the moment, but to be honest it is nothing special. Yes it has bones in it (dead animal carcasses, but we can still get benefits from a vegan source). As human beings, we can make our own collagen. As it turns out vegans can make their own collagen. Our bodies cannot even digest collagen as a whole food, did you know that? We have to absorb the nutrients from it and utilize those raw nutrients as building blocks to make it!!! Hence eating collagen doesn't mean having ‘more of it”. In fact if you are eating dark leafy greens, these plants offer rich sources of collagen building blocks. So to heal stomach lining, especially from gelatin, there are other plant sources that will help you instead of resorting to DEAD ANIMAL CARCASSES. May take longer, but hey nothing comes easy. In Ayurveda, foods like healing aloe vera, ghee, coconut oil, turmeric, ginger and kombu can help with gut healing. Also fermented foods like miso, kimchi, sauerkraut, kefir etc. All those minerals found in bone broth are also found in vegetarian counterparts. So to my fellow vegans and vegetarians, YOU CAN GET A PLANT BASED SOURCE OF BONE BROTH, which is probably better than dead animals boiled down!!! For your broth feel free to use the following ingredients for a warm rich and nutrient dense broth. Wakame seaweed, Kombu seaweed, hiziki seaweed - omega 3, great for intestinal health, packed with essential minerals and vitamins such as iron, calcium, magnesium and iodine. Shitake Mushrooms, Cordyceps -packed with flavor and cancer fighting agents, great source of zinc, vit D and B. Contains all essential amino acids and is considered a pre-biotic. Coconut oil, Ghee - healthy fat stable and great for gut healing, as it feeds the probiotics already in the gut. Liquid gold. Helps one absorb essential nutrients. Turmeric, Ginger considered rhizomes, and help with tissue absorption and detox according to Ayurvedic. It is anti-inflammatory. Dark leafy Greens such as kale, choi sum, spinach you name it!! Packed with vitamins K, A, C and minerals magnesium and calcium, good protein and prebiotic source. So you see folks, there are vegan alternatives. Stay tuned in recipes section for VEGAN BONE BROTH…. Here at Love True Food , we custom make spices according to your constitution (dosha). The spices can help digest toxins from the gut and reset the lymph system. According to Ayurveda, specific spices have effects on our whole system. For example black pepper is heating and dry and aggravates fire (pitta) and dissolves earth (kapha) and pacifies air or vata. It's heating nature dissolves through mucus and clots. Now if we take a spice like coriander, it cools the system and pacifies fire and air. It always clears the mind. Having a knowledge base of basic spices can really affect the way food digests and assimilates into our system. Ginger is invigorating, excellent digestive aid. Increases digestive capacity known as agni. Saffron: Helps with beauty, is an aphrodisiac cough suppressant, antidepressant. Cumin burns through ama (undigested food). It enhances appetite, and cleans the liver. Turmeric, its bright yellow collar acts as an anti-inflammatory. Anti-viral, anti cancer and is great for skin and beauty. In Ayurveda it is believed that the nose is the direct passage to the brain. Nasya is an ancient method of dropping a substance into the nose and inhaled in order to lubricate the passages and make way for chi or prana (life force) to enter the head and body. Substances can be medicated oils / juices / and powders which stimulate the vital centres of brain. When we administer herbal oils (nasya) it helps clean toxins that accumulate in upper body (sinus, throat, nose, head areas). Certain oils sooth and protect the delicate mucus membranes, also receiving tension in the head and relief stress. This can balance VPK. It was also noted that nasya can sooth the voice making it more attractive. Certain people use nasya for hair fall, helps eyesight and promote mental clarity. Please consult an Ayurvedic Practitioner to see if this is a suitable daily practice that can be incorporated into your life.